Playing around with the kit lens! 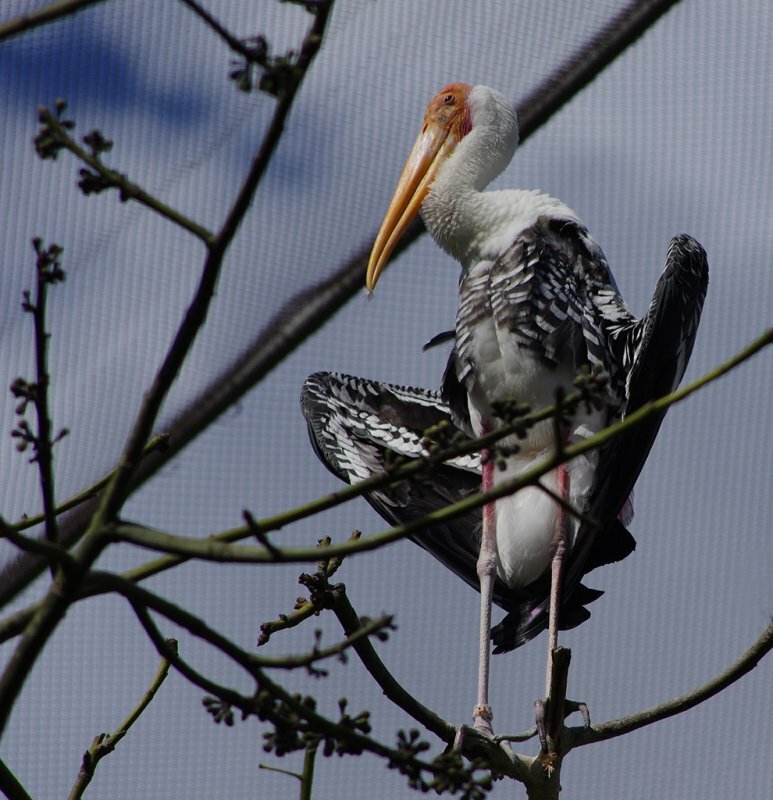 Background behind the stork is the mesh enclosure of the aviary; couldn't get a clear shot of this bird without the tree branches, sorry. Awesome shot of the tiger! Well for a kit lens it does take some very fine shots and is really sharp! Thanks! The tiger himself is very awesome, I was delighted to capture such a handsome portrait of him. Thank you, EM. This lens continues to surprise me. These files are of course cropped and reduced for posting, but I was astonished at the sharpness of the stork image when I viewed it. Hard to see here on the posted version, but in the original JPG you can count every wrinkle on his head, every feather on his neck, the texture of his bill. Amazing! 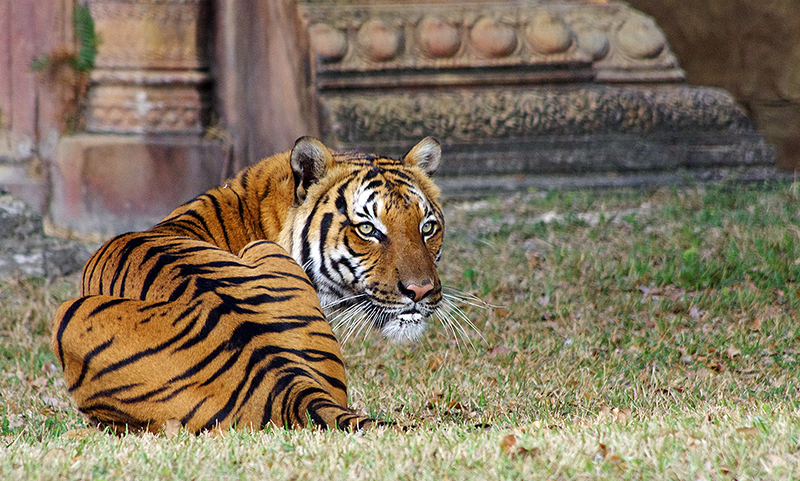 your photo of the tiger is one of the best I've seen, a pleasure to view. That tiger one is very nice! 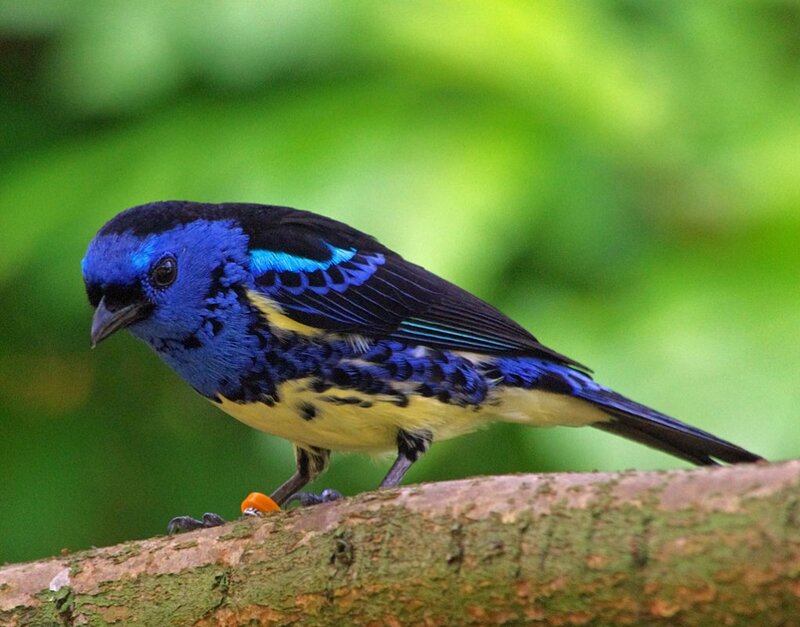 I also like all the bright colors in the photo of the blue bird. Beautiful shots! Especially like the tiger. Another tony the tiger fan here .....but love the colors of the bird. These are great zoo shots, Julie. The tiger is especially nice.